Large crossovers are designed to serve as comfortable and functional people- and cargo-haulers. The 2019 Mazda CX-9 seeks to stand apart from the competition in this segment by offering impressive driving performance and sporty driving dynamics. So, how does the 2019 Mazda CX-9 compare to the competition? The 2019 Mazda CX-9 vs 2019 Subaru Ascent vs 2019 Toyota Highlander examines three models in the three-row SUV segment. The sporty driving dynamics of the 2019 Mazda CX-9 start with the engine under the hood. Powering all 2019 Mazda CX-9 models is the turbocharged SKYACTIV-G 2.5T engine. Performance numbers for this engine are estimated at up to 250 horsepower and 310 pound-feet of torque. The engine is paired with the SKYACTIV-DRIVE six-speed automatic transmission. Front-Wheel Drive or the predictive i-ACTIV All-Wheel Drive systems are available. 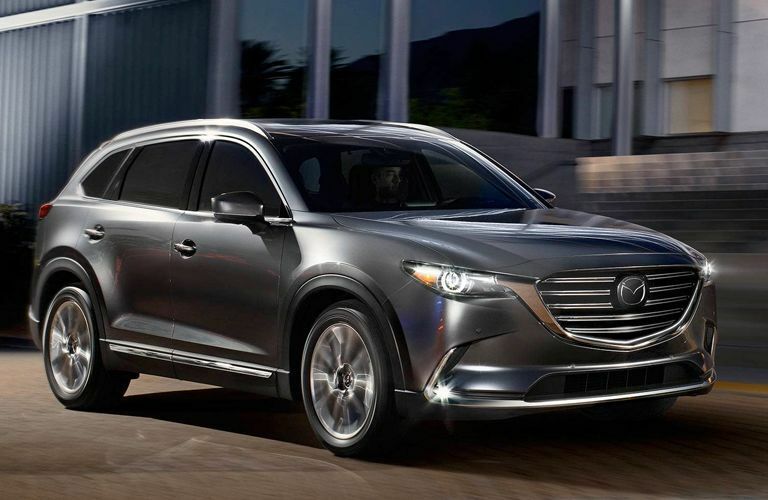 The 2019 Mazda CX-9 pairs driving fun with a comfortable interior offering an extensive selection of features and technology systems. 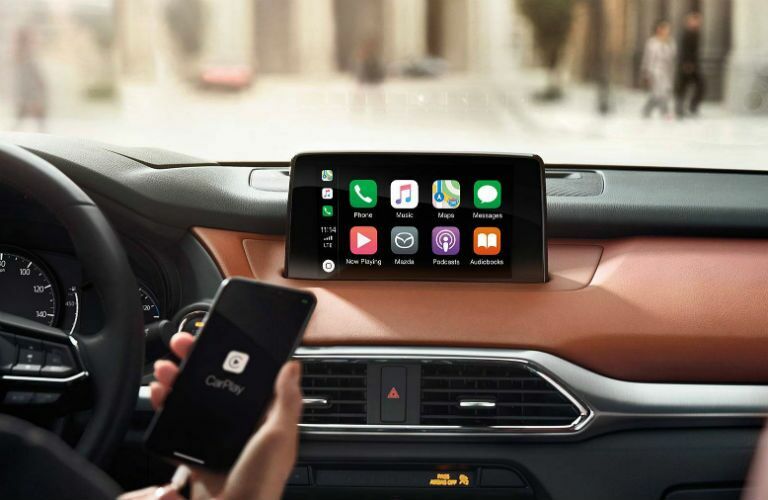 New equipment for the 2019 model year includes Apple CarPlay and Android Auto. 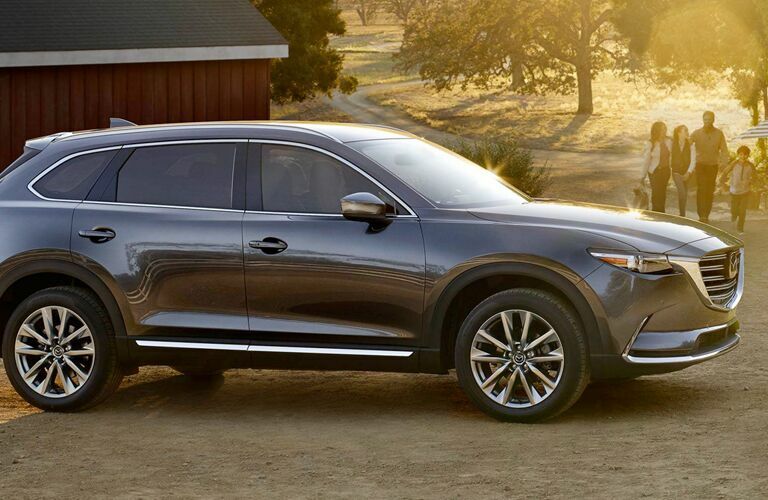 The CX-9 is also offered in the top-of-the-line Signature trim level. Signature models come equipped with a Signature trim level badge, Predictive i-ACTIV All-Wheel Drive, Nappa leather seating surfaces, Santos Rosewood interior trim, leather-wrapped steering wheel with unique stitching, LED accent around the transmission shifter and LED grille lighting accent. A variety of safety and driver assistance features are available on the 2019 CX-9. This includes standard Smart City Brake Support and Blind Spot Monitoring System with Rear Cross-Traffic Alert, available Smart Brake Support, Lane Departure Warning with Lane-Keep Assist, Mazda Radar Cruise Control and High Beam Control, and the new 360° View Monitor with front and rear parking sensors.